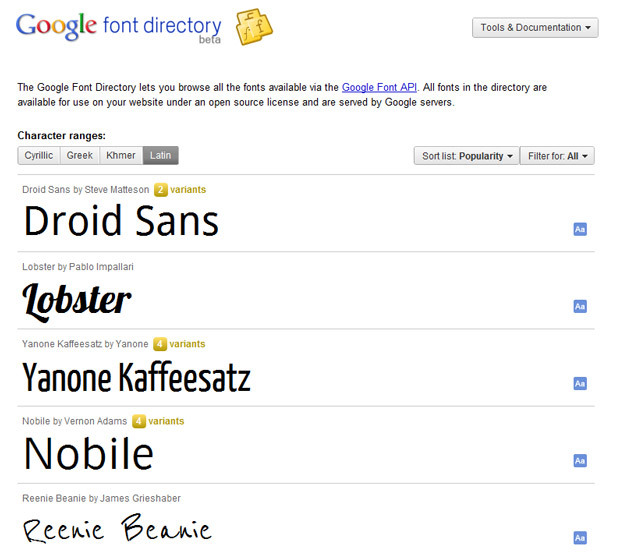 Maybe I missed the memo, but when did Google start providing a Font API? These embeddable fonts are awesome! I'm blogging about this so that I don't forget next time I go to make a website.